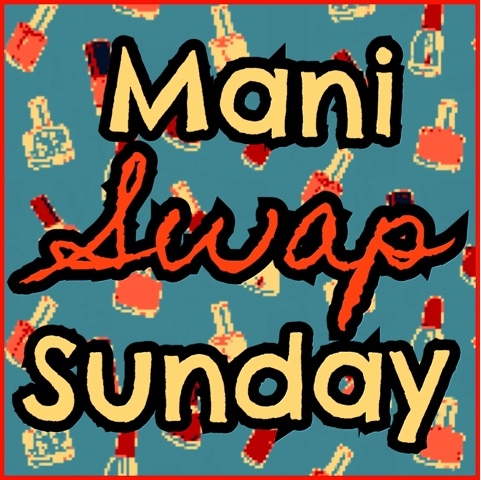 April and I have another Mani Swap Sunday today! I recreated April's scallop mani with floral accents. I didn't have the same flower stickers as she used, but dug through my stash and came up with some I think look fab with this design! I didn't expect to, but I absolutely love how this mani turned out! 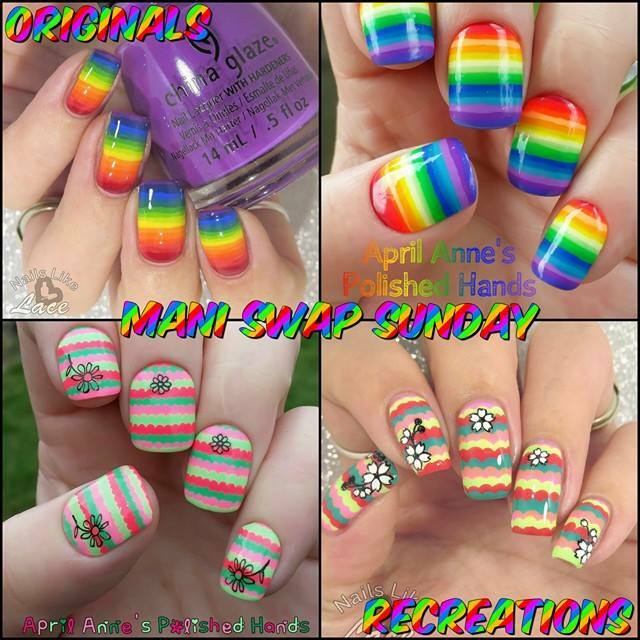 This time around April recreated my fun rainbow stripes and just look how amazing hers are!! You can find more pics and info for her mani on her IG. I just love that we both did stripes, and this was such a fun one to do!